Logistics service supplier UTi aims to offer its customers integrated solutions that go beyond merely organising transport or setting up a warehouse. Therefore, it decided to train its entire global sales team in S&OP – a process which logistics service providers would not normally bother with. The training method used: The Fresh Connection. Jens Moeller adds: “This game is a good way of creating awareness of how companies view – or ought to view – their supply chains.” In The Fresh Connection, four-person teams try to maximise a fictitious fruit-juice manufacturer’s profit. Each member of the team takes on a particular role: purchasing manager, operations manager, supply chain manager or commercial manager. Lepore fulfilled the role of purchaser. The key thing he learned was to choose a common strategy, as a team. “Whether you are striving for responsiveness or cost leadership has a considerable impact on the decisions you make.” For Moeller, it became clear that supply chain optimisation happens one step at a time: “You must not want to push through decisions too hastily.” Thanks to The Fresh Connection, UTi’s sales managers have become better sparring partners for their customers. UTi believes that it can maximise its customers’ success by offering them integrated solutions that cover several parts of the supply chain. 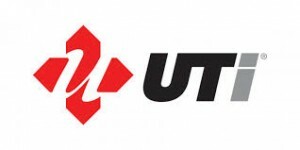 “By providing solutions which have an impact on stock levels and result in a healthier bottom line, we can add much more value to our clients’ supply chains,” states Bas Wouters, Global Director Product Marketing at UTi. In order to offer them a better understanding of these integrated solutions, the logistics service provider arranged for 200 of its key sales managers to spend a week playing The Fresh Connection. Employees played the game for 90 minutes every morning during the company’s annual global sales meeting, which was held in Cannes, France.